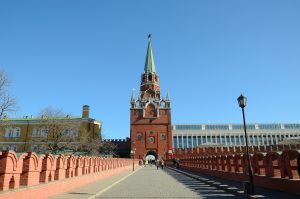 The Kremlin is an old fortress and the most important historical and political center of Russia. 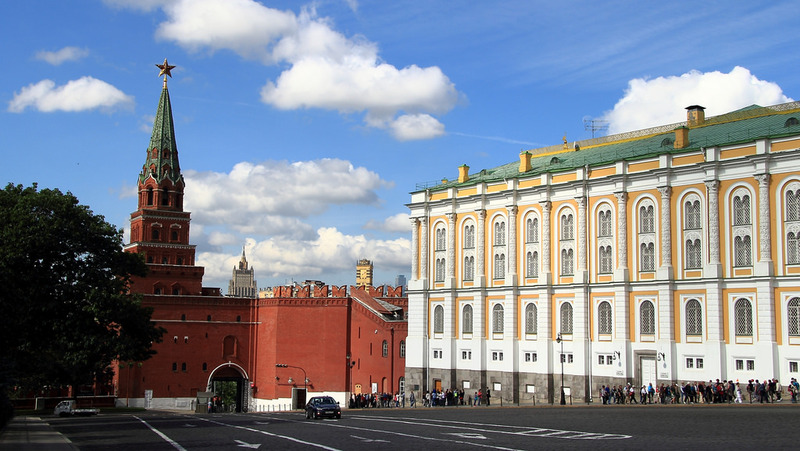 Today, it is also the seat of the Russian president when entering the Kremlin walls you will feel the country’s past and present. 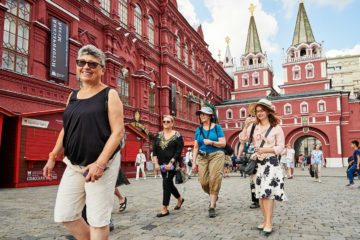 You will see the Kremlin’s compositional center, the beautiful Cathedral Square, and visit the three main cathedrals. The Assumption was the church where coronations took place. The Annunciation was the site used for royal weddings. The Archangel Michael is the site where Russian monarchs are buried. It feels like the royal circle of life was being choreographed here on a tiny square. 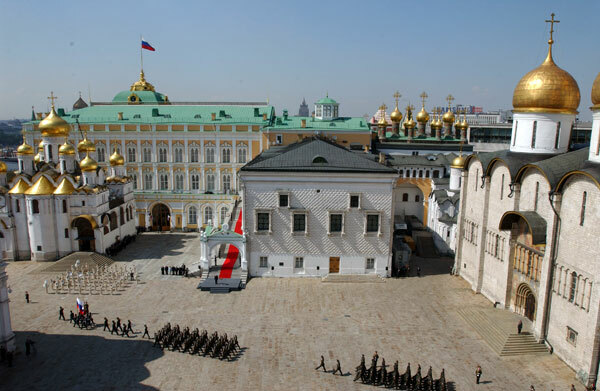 Apart from the Kremlin cathedrals you will visit the Armory Chamber – the treasury of Russian tsars that houses a collection of jewelry, court regalia, armor, coronation dresses, golden carriages, and some of the fabulous and priceless Easter Eggs by Karl Faberge. You will have a close up view of some spectacular personal items from Russia’s past. 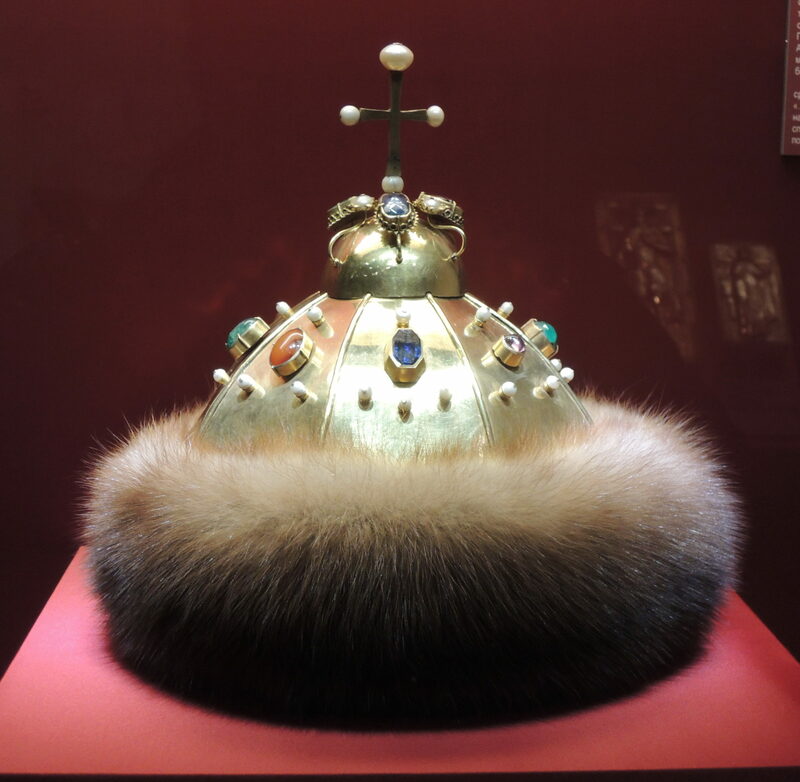 One of them is the Monomakh hat, the crown that was used for the coronation of monarchs. 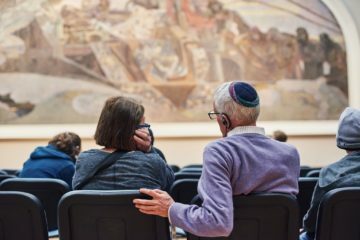 During the tour you will also enter the Diamond Fund exhibition with the unique collection of precious stones and masterpieces of jewelers’ art.